Paul was born in the Netherlands and graduated from The Design Academy in Eindhoven in 1995 (At the time the academy was known as AIVE). He holds a bachelor's degree in industrial design. In 1996 Paul was invited for a design project in Indonesia for a company producing and selling solar home systems. Upon finishing the project Paul decided to stay in Indonesia. He has worked as product development manager for a number of companies between 1995 and 2003. In 1998 he founded PT Indigo. Initially Indigo designed, developed and managed the production of innovative products for the export market. Later, in 2004 the company started to specialise in signage design. Aldo was born in Jakarta on September 29th, 1995. He attended Limkokwing University in Malaysia and graduated in 2017 as Bachelor of Design. Right after graduated, Aldo went back to Jakarta and joined Indigo as a graphic designer. He is responsible for signage concept making, presentation design, and graphic content. Nurlandia, or also called Didi, was born in Jakarta on March 4th, 1991. She attended Universitas Mercu Buana, Jakarta and graduated in 2012 with a D3 title in Accounting. Didi joined Indigo in 2013 and has been responsible for our administration, billing, and day to day office management. Farah was born in Jakarta on April 28, 1995. She recently graduated from BINUS University, Jakarta majored in Architecture with a bachelor degree. Farah is interested in architecture and design. She joined Indigo in early 2018 and be responsible for project planning, project coordination, key plan development and producing bill of quantity. Fajar was born in Jakarta on August 7th, 1995. He attended SMKN1, Jakarta and graduated in 2014 as an architectural drafter. In 2016, Fajar joined Indigo as an architectural drafter. His responsibilities are including the production of site plans, technical drawings, and construction details for signage. Ghiffari started studying graphic design since 2014 in Raffles Design Institute Jakarta, Indonesia. 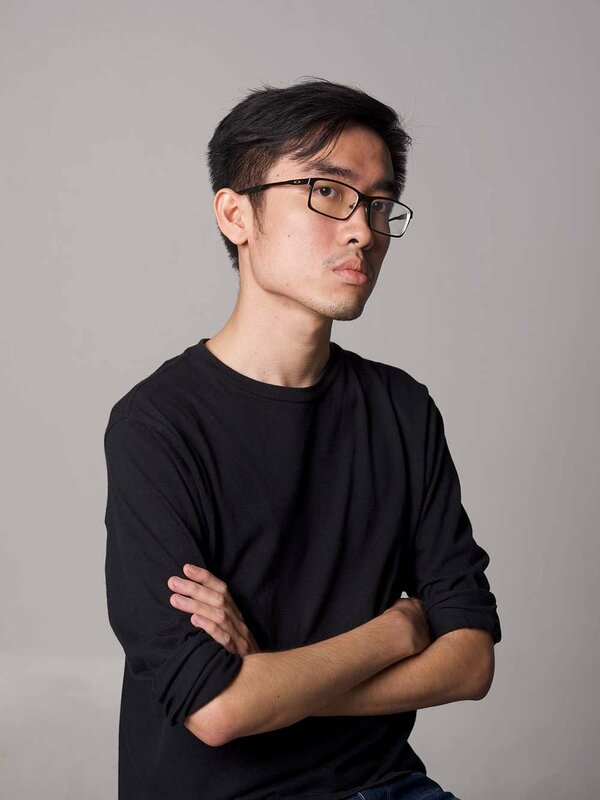 He continue his study to Sydney, Australia and graduated as a Bachelor of Visual Communication Design in 2016. For the past two years he had been working in one of Sydney’s well known graphic design company. In 2018 he decided to return to Jakarta and has recently work with Indigo and be responsible for signage concept making, presentation design, graphic content, and project coordination. Alexander was born in Jakarta on September 11, 1995. He graduated from Universitas Tarumanagara with bachelor degree title in Architecture. He is a designer with basic knowledge around applied desk job. He is motivated in technology, urban, green and concept applied design and project. He joined the team in 2018 and be responsible for developing key plan and technical matters. Fiqih was born in Bekasi, November 9th, 1995. As an autodidact, she has taught herself the art of creating realistic 3D rendering in 2014, right after graduated from high school. Fiqih joined Indigo in 2015 as a 3D artist and be responsible for the production of 3D images used in signage concept presentation. Novian was born in Jakarta on November 20, 1994. He graduated from Interstudi School of Design with bachelor degree title in Visual Communication Design. He is a passionate and idealist graphic designer. He joined Indigo in 2018 and be responsible of concept making for signage, graphic content, and branding projects. Shyntia was born in Purwokerto on September 26, 1996. She recently graduated from Atma Jaya Yogyakarta University majored in Architecture with a bachelor degree. She is an ambitious, creative and have a high interest in architecture. She joined Indigo in 2018 and be responsible for project planning, developing key plan and producing 3D images. Wardoyo was born in Jakarta on September 23, 1985. He attended JESC (Jakarta Engineering and Science College) as a Piping Drafter. He has various working experiences, such as in PT Kinden Indonesia and PT Jaya Teknik Indonesia as a drafter. He joined the team as an architectural drafter in 2018 and be responsible for technical drawing production. Imam has been our indispensable supporting staff since 2014 he makes sure our headquarters are clean, comfortable and well stocked. He is also responsible for deliveries of documents and samples.